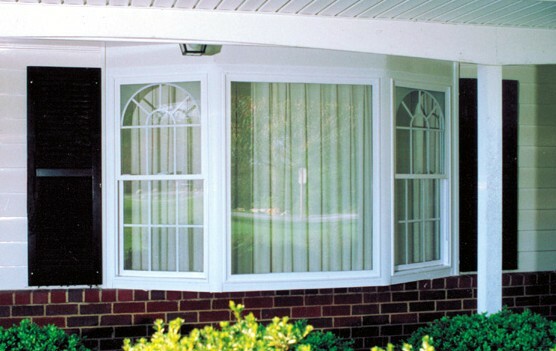 Few window styles offer a more classic look and expansive view than bay and bow windows, and no company produces higher vinyl bay and bow windows than Sunrise Windows. Easily customizable thanks to a wide selection of glass, design, size, and wood grain options, Sunrise bay and bow windows can be fit to any home’s existing décor or designed to transform the entire look and feel of a room. Twin Cities Siding Professionals is a leading choice for Twin Cities area window specialists, and fully certified by Sunrise to install their top quality line of bay and bow windows. Our design team will work with you to create one of these beautiful windows specifically for your home and your space requirements, helping you to decide between an elegantly designed bay window and a slightly larger bow window. 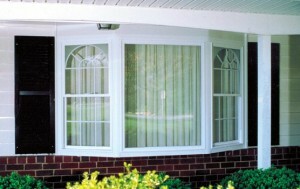 Available in both 30-degree and 45-degree angles, bay windows are easily fit to your homes space needs. We often suggest adding an interior seat to complete this gorgeous addition to your home. The three-point lock system provides added security and peace of mind for your family. Designed using three to six equal sized glass panels, bow windows add a new dimension to your home. The semi-circle that is created provides an interesting architectural aspect, and an anti-water penetration system will keep your bow windows from feeling the scourge of mold, mildew, and other forms of water damage. To learn more about Sunrise bay and bow windows, give Twin Cities Siding a call today and talk to our award winning design team! Join the many Twin Cities area homeowners who are saying, “I Love My Contractor!” Call Twin Cities Siding Professionals today at (651) 967-0873 to schedule your FREE in-home consultation on siding, windows, doors, insulation, or roofing.